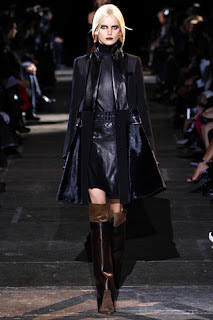 A berth in the Givenchy presentation can catapult a virtual unknown into the upper echelons of the modelling stratosphere. 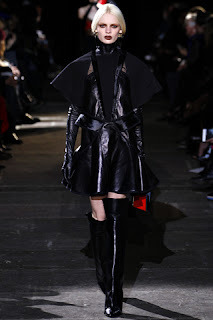 Just ask Joan Smalls, Lea T, Saskia de Brauw, Lara Mullen, Kati Nescher and Marte Mei van Haaster, who were all anointed by designer Riccardo Tisci's master stroke of approval. 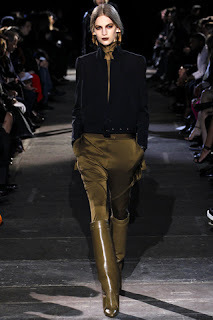 The only recognisable faces amongst casting director's Patrizia Pilotti's assemblage for Givenchy's Fall/Winter 2012 presentation were the unmistakeable Stella Tenant, the omnipresent Ana Claudia Michels and Jamie Bochert and established models Saskia de Brauw, Joan Smalls, Daria Strokous Zuzanna Bijoch, Kasia Struss and Julia Nobis. Even amongst such illustrious company, a group of striking newcomers stole the show, beckoning model watchers and industry pundits to beg the question "Who's that girl?" 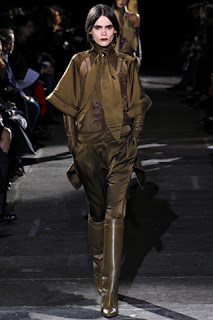 Anamari Botha, Daniela Braga, Aleksandra Marczyk, Grace Mahary, Dijana Radetic, Vanessa Axente and Elza Luijendijk looked magnetic as they stormed down the runway for Tisci's Guy Bourdain inspired collection. 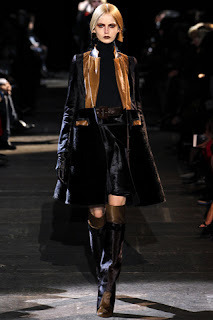 With newcomers nabbing exclusives left, right and centre throughout the Milan and Paris shows, it remains to be seen as to which models will emerge from the fray with true potential staying power.